Reclaimed Asphalt Pavement (RAP) refers to the removed or reprocessed pavement materials which contain asphalt and aggregate materials. The elements are generated as a result of pavement removal especially during resurfacing, reconstruction or when retrieving buried utilities. RAP usually form a high quality and well aggregates when properly crushed and screened. 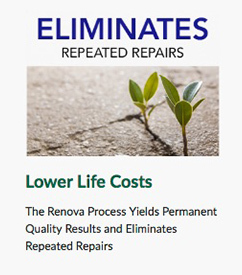 The best and most efficient way to do this is with an asphalt recycler like the RENOVA. 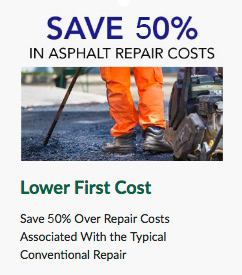 There are two types of asphalt pavement removal, namely the milling and full depth removal. The first method, which is milling involves the removal of pavement surface with the aid of a milling machine. The machine can remove materials up to 50mm (2in) thickness in one pass. The full depth method involves both ripping and breaking the pavement by use of the rhino horn on the bulldozer or simply by the use of pneumatic pavement breakers. The broken material is subsequently loaded into haul trucks by the utilization of a front end loader and then transported for processing. The processing operation involves crushing, screening, conveying as well as stacking. Even though in most instances the old asphalt pavements are recycled at central processing plants, in some other cases, they are pulverized. After pulverization, they are incorporated into either granular or stabilized base courses by use of a self-propelled pulverizing machine. Excess rap asphalt concrete is either disposed of in landfills or in the most appropriate way. Disposal is mainly done when small quantities are involved or in cases when the materials are mixed up with other materials making it, therefore, impossible to use or recycle. Rap asphalt can also be disposed of in the absence of a processing plant. The majority of the rap asphalt obtained is recycled and used. Once recycled, it is returned to the roadway but in some other instances, it is used as an aggregate in subbase or base construction. 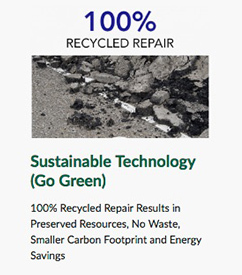 In many cases, recycled hot mix asphalt is obtained from RAP processing facilities where the asphalt pavements are crushed, screened and stockpiled for the purpose of asphalt concrete production. Most of these processing facilities are located proximal to the hot mix asphalt plant sites where RAP is either sold or used as a raw material for the production of recycled hot mix asphalt pavement. The properties of RAP mainly depend on the properties of the constituent materials and also the type of asphalt concrete mix. For example, binder course, wearing surface, etc.). The properties can vary dependence on the aggregate quality, size, and consistency. The particle size of either milled or crushed RAP mainly depends on the type of equipment which is used to produce the RAP. The major constituent of RAP is mineral aggregates while hardened asphalt cement consists the minority. The chemical composition is similar to the natural occurring mineral aggregates. Asphalt cement comprises of mainly high molecular weight aliphatic hydrocarbon compounds but also constitutes of other materials such as nitrogen, sulfur, polycyclic hydrocarbons but low concentrations. The mechanical rap asphalt mainly depends on the original type of asphalt pavement type, the degree of processing, and the method utilized to recover the material. A compacted unit weight of rap asphalt decreases with the increasing unit weight. The maximum dry density value recorded ranges from 1600 to 2000 kilogram per cubic meter.